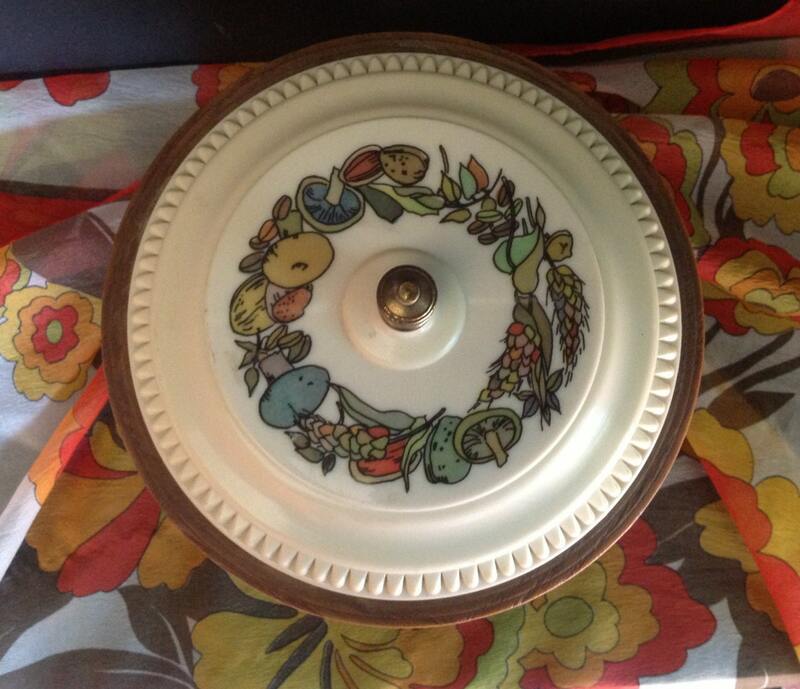 Offered is a vintage l970's piece. 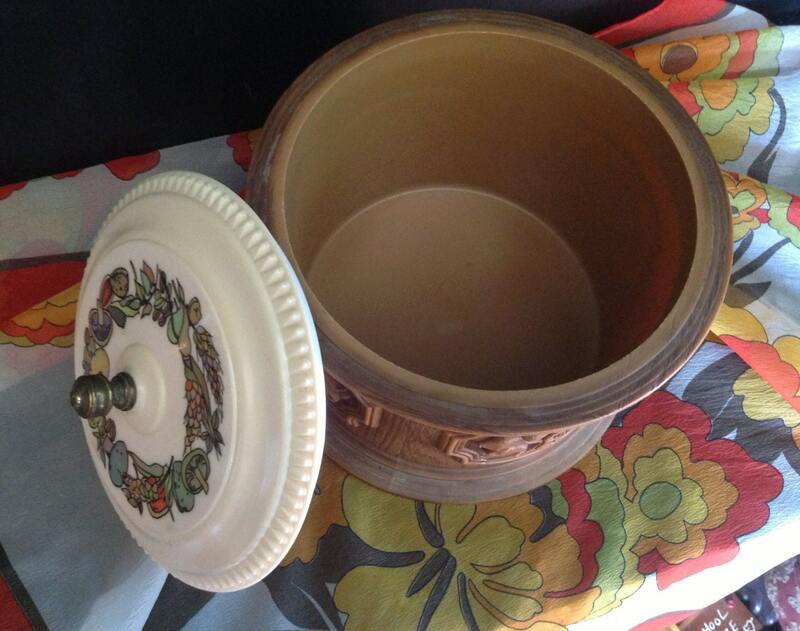 This could be utilized as a storage canister, or as a small ice bucket. It is constructed of a Syroco-like pressed wood pulp product that looks like carved wood but performs like plastic. 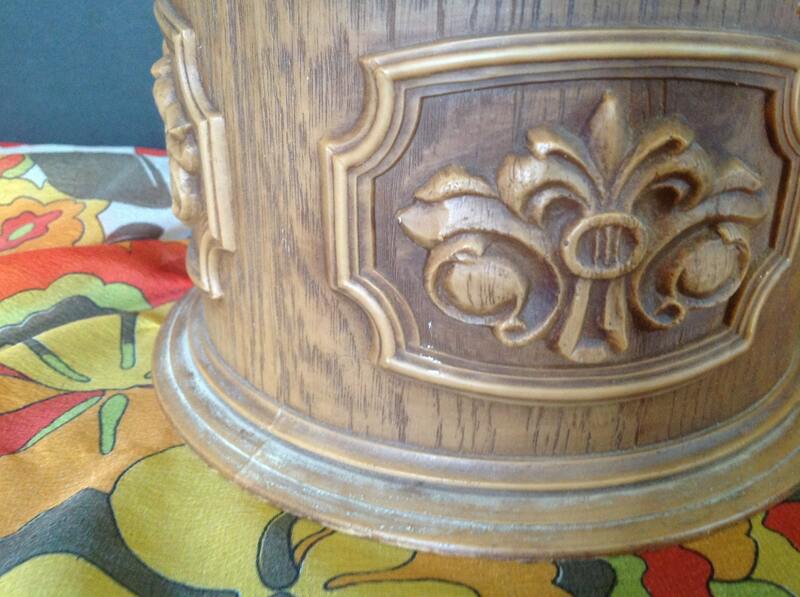 Lovely "carved" designs decorate the sides of the base. 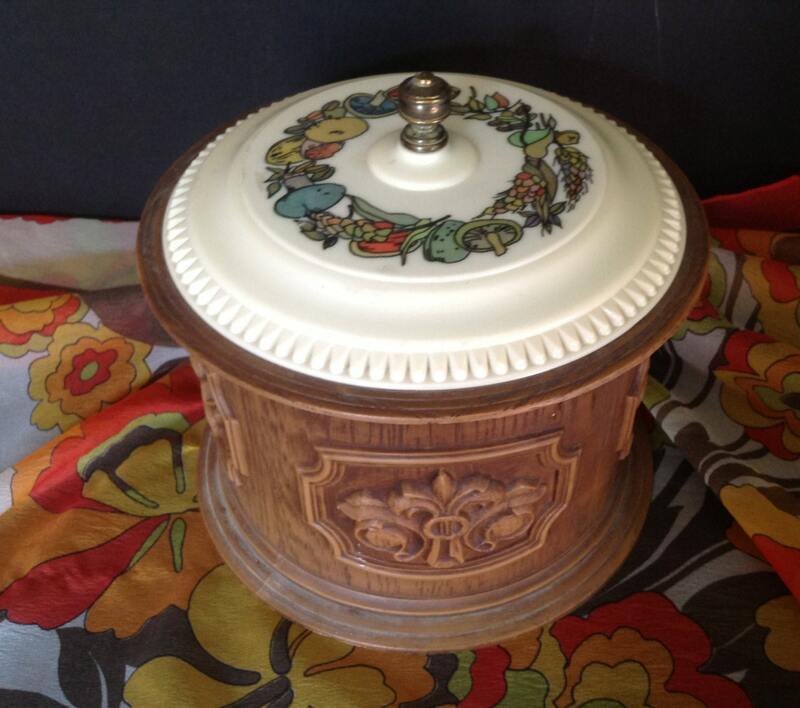 The lid depicts veggies, spices and of course mushrooms. 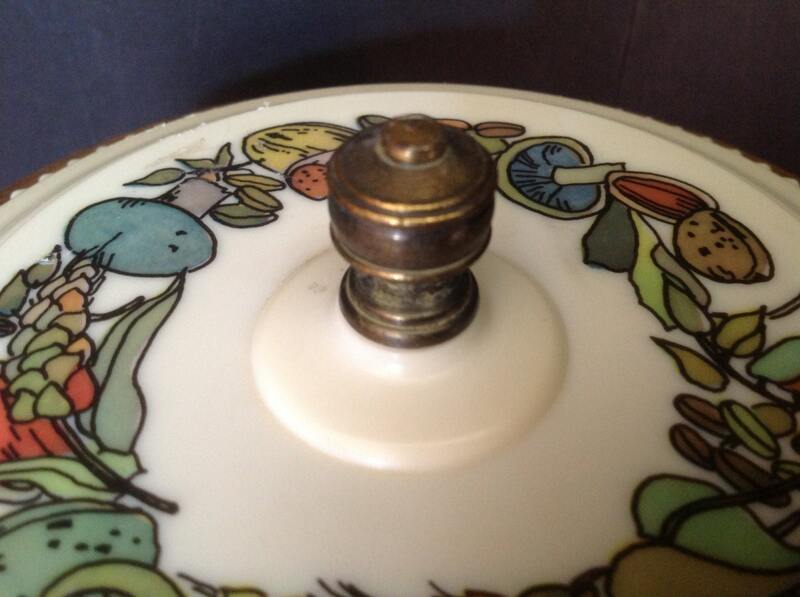 The finial on top of the lid has interesting detail (however, it is tarnished). Overall, excellent condition. Sooooo 70's! I do reimburse for shipping overages of $1.00 or more.